Speaking on CNN’s “State of the Union,” Tillerson downplayed messages that President Trump had previously posted on Twitter suggesting Tillerson was wasting his time trying to negotiate with “Little Rocket Man,” a derogatory nickname Trump has coined for North Korea’s communist dictator Kim Jong Un. Trump “has made it clear to me to continue my diplomatic efforts,” Tillerson said. 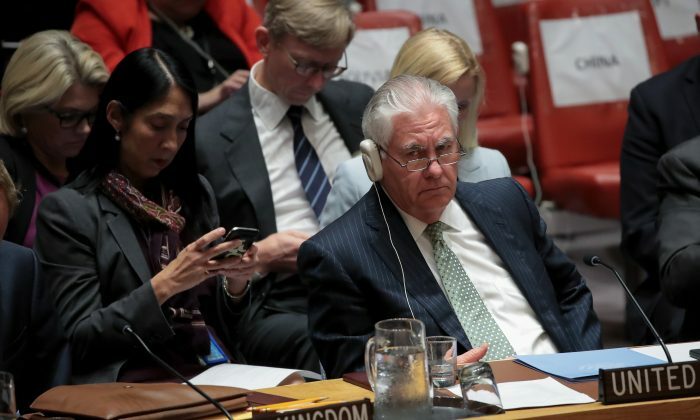 Tillerson’s comments Sunday come amid soaring tensions between the United States and North Korea following a series of weapons tests by Pyongyang and a war of words between the two countries’ leaders. 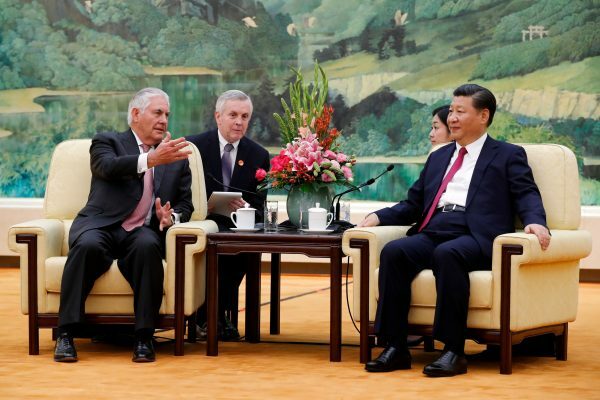 Tillerson has been in talks with China to enlist its help on getting North Korea to back down, telling CNN that Trump and China’s President Xi Jinping have an extremely close relationship and that China understands the U.S. position. “Rest assured that the Chinese are not confused in any way” about the American policy towards North Korea, he added.